What a rainy Spring it was! The question I kept asking was “when is summer going to get here so I can stop mowing?” I put it off for far too long and the grass on my boulevard was up to my shins. In the back yard (enormous, as mentioned previously) it was knee- high. Enter the High Weed Mower. In just about two hours I was able to turn a beastly, overgrown headache of a yard into a park like setting! The High Weed Mower is easy to start, a definite plus in a mower; no dislocated shoulders here! It is self- propelled and very powerful. If i went through a particularly high patch I just upped the speed. Best thing: Hands off, engine off: so if I felt out of control or nervous all I did was let go. In addition, steep grades were a snap: low speed on up and gravity on down. I did sloped surfaces perpendicular to keep the mower balanced. It is extremely well- centered, but I did not want to risk tipping it. It is light and therefore easy to turn as well. Also a very cool feature is the height adjustment. 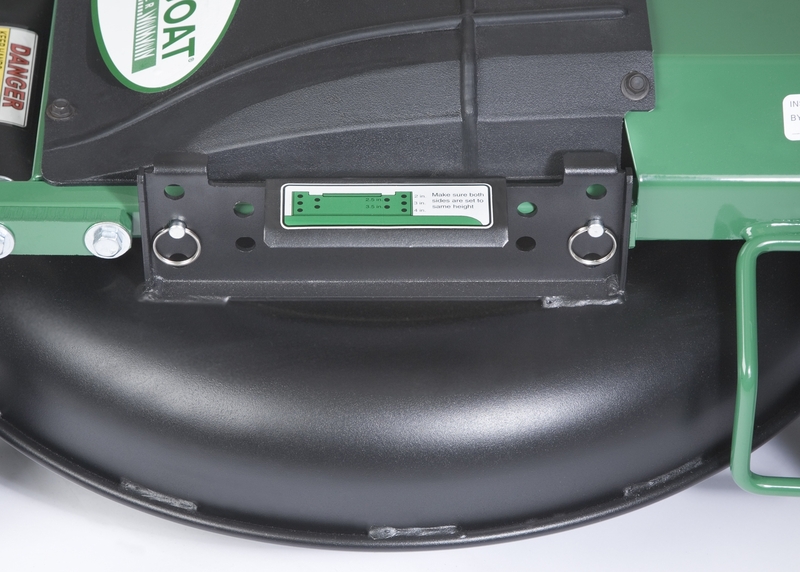 Referred to as a ‘floating deck,’ you can lower the carriage as far down as two inches by pulling out and resetting four pins. It raises to four inches in half- inch increments. So on my boulevard I was able to get a neat, manicured cut in one pass. For the back I used the high setting, then went over it again with the lowest. Perfect! I have to say that I am extremely impressed with Billy Goat products. They work really well, are intuitive and reliable, and they’re just fun to use!